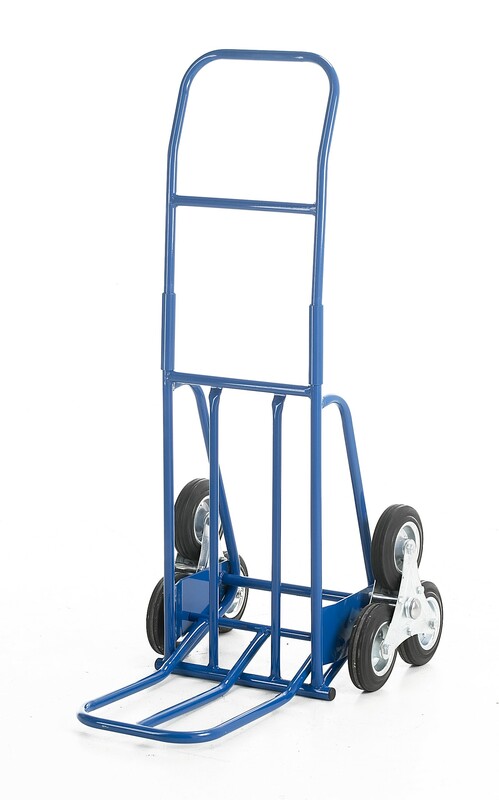 This Compact stair climber sack truck is specifically designed to make life a whole lot easier when transporting goods up stairs. These stair climber sack trucks come With a large footplate and easy to grip handles. The perfect style of sack truck to have if you are a courier service or receive a Lot of deliveries and have to transport goods upstairs. The large toe folds and locks to the frame allowing for compact storage!